Sciatica is known as the pain associated with the sciatic nerve in the body. This nerve is one of the largest nerves of the body. This nerve is made of many individual nerves that branch out from the lower part of the spine normally from 3rd lumbar segment. A single nerve root comes out of every level in the lower spine and the all of them form a single large sciatic nerve. This large nerve then runs down through the buttock to the back side of each leg. In the leg the portions branch out to the thigh, calf and then to the toes through the foot. This sciatic pain is very rare before the age of 20 and becomes common during the Middle Ages i.e. normally between the ages of 40-50. This pain is so common that some researchers have even gone to say that this pain will affect 43% of the population at one or the other point in their life. Slipped (herniated) lumbar disk pinching the nerve. Isthmic spondylolisthesis in which the disk might slip forward over another due to some fracture thus pinching the sciatic nerve. Spinal stenosis in which the lumbar spinal canal narrows down towards the end with the passage of time and usually occurs in patients of age above 60 years. Piriformis syndrome is a condition in which the sciatic nerve gets compressed under the piriformis muscle in the buttock. Sciatica may also be triggered during pregnancy as the body undergo changes during this time. Other causes including scar tissue, muscle strain, spinal tumours and infections etc. Continuous pain in one side of the body i-e buttock, leg, thigh, calf. Pain on both sides is very rare in case of sciatica. Pain originating in the lower back and radiating downwards along the sciatic nerve to the foot. Pain is usually very intense. A sensation that can be described as prickling or tingling like being pricked with needles running down the leg. Numbness when trying to move the leg or foot. The pain might be so intense that one might find it difficult to even stand up or walk. The symptoms might also be felt in the toes depending upon the area where the sciatic nerve is pinched. While the lower back pain is absent in most cases but even if it is felt, it is very light in comparison to the pain felt in the leg. Surgery can be performed to treat sciatic nerve but there are risks involved in this process. However, non-surgical treatments are always there to help you relieve Sciatica pain. Backrack™ has been found to be very effective in treating back pain which are caused by herniated disks and otherwise. Thousands of patients worldwide have been treated successfully with our innovative 👉 Backrack™ Spine System. 👈It has a unique concept and application in back care. Backrack™ can treat not just the symptoms but the causes of back pain with no side effects at all. Please visit the above link for more details. The cases those are very severe to treat otherwise have to be treated with surgery. There are two main causes of the sciatic pain one being the herniated lumbar disk and the other being spinal stenosis. The two types of surgeries that are done are known as Microdiscectomy and the other being Lumbar laminectomy respectively. Both these procedures involve a small incision and using a microscope. In the first case, the part of the herniated disk that is pinching the sciatic nerve at any point is removed thus relieving the pain. In the case of lumbar laminectomy, the portion of the bone that is actually pinching the nerve is removed. The latter is procedure is very risky and is only done in case the pain and irritation for the patient is intolerable and surgery is inevitable. Heat packs and ice packs are used for the treatment of acute sciatic pain. If the case is not very severe, the pain goes away but if the pain is recurring, doctors recommend other treatments. Ibuprofen or naproxen is usually effective in alleviating the pain. Muscle relaxants are also prescribed in some cases but they should not be used for more than a few days. In some cases, an epidural steroid injection is used for the treatment of sciatic pain because unlike the pain medications, this is directly injected to the affected area which reduces the inflammation thus relieving pain. 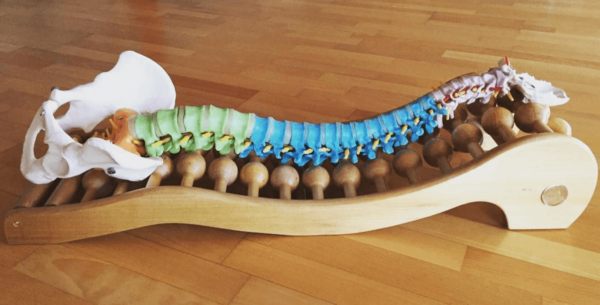 Chiropractors and physicians usually treat the patients by manual adjustment of the back which is found effective in many cases. Another widely practiced treatment is acupuncture in which needles are inserted into the skin around the affected area. This method of treatment, although primitive has been approved by FDA. Massage therapy has also been found to be very effective in treating the sciatic pain as it increases the blood flow and also relaxes the muscles around which may be responsible for causing the sciatic pain in the first place.